One of the biggest differences I’ve experienced between self defense training and competition fight training is the physical and psychological impact of weaponry. When you walk into a cage, you are thoroughly patted down and checked to ensure that you aren’t giving yourself an edge with hidden tools (even large globs of petroleum jelly can impact a cagefight, as it helps reduce the friction when punches hit you.) I’m not aware of any stories where someone has snuck a weapon into a cagefight, though before regulations were a given in boxing it was a semi-regular occurrence. While it’s kind of hard to get away with knifing somebody in a televised cage fight, weapons in street fights can make a HUGE difference. Add that the fact tat you can be unsure of what anyone is carrying at a given time, and weapons now play large active and inactive psychological and strategic roles. For example, wrapping someone up in guard is a nice tool for delaying their offense, but what if they pull a knife and you don’t notice? You will likely get stabbed a couple of times before you can effectively deal with it. Even trained professionals in law enforcement and the military see this. The comforting other side to this scenario is the fact that you have access to objects on your everyday person that can be converted into effective weapons in a pinch. Since you can’t walk around armed to the teeth with swords and nunchaku without attracting unwanted (namely police) attention, here are 3 common objects you can use in a pinch to flip the odds against an assailant! If this one seems like a no-brainer, well, great! A lot of attacks in parking lots and garages involve targets who likely have these available. If you are attacked at a place you have traveled to by car, there is a good chance that your keys are immediately available. They function well as spacers, sharp objects, whipping/binding objects if they have a lanyard, etc. I know a guy who carries a rather large model of a steel “Thor’s hammer” on his car keys that would really give an attacker pause if they were whipped into his head or hands. 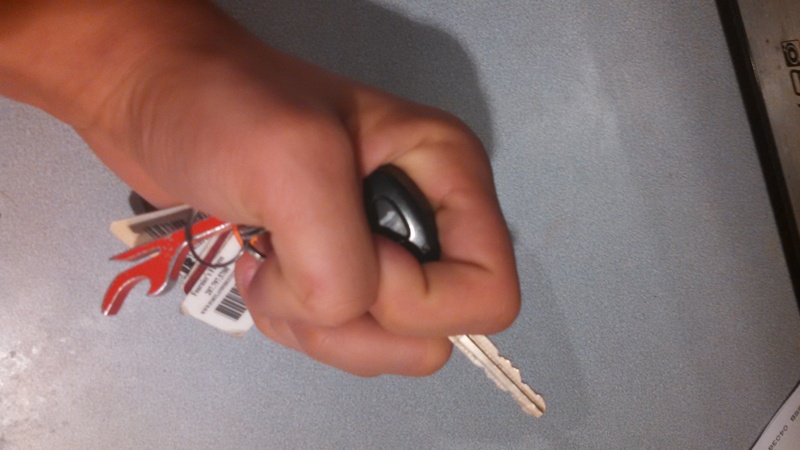 In a ground scenario, you can use keys spaced between your knuckles as pictured to jab into an opponents eyes or face, which can be crucial in creating the distance you need to escape should you be dragged to the ground. Belt’s aren’t for just holding up your pants! Not only are they considered one of the most useful items to have in a wilderness survival situation, they can also become a handy unconventional weapon in a self defense environment. Belts can whip and bind, and if you’re flailing an assailant with a metal buckle, there is reasonable to deliver painful cuts and welts to exposed skin, especially on the face and hands. 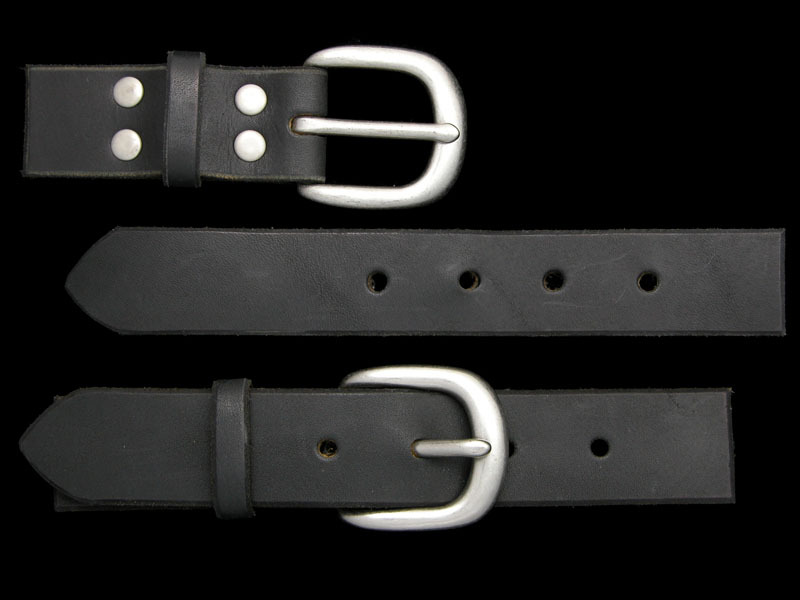 The bonus of belts is that they can offer a significant range increase to your defense. There are two major cautions: trying to avoid getting caught in a “grabbing battle” if your attacker manages to seize a hold of the belt. Let go and attack with something else! It’s easy with a chaotic, confusing, and painful weapon like a belt or to get an opponent focused on removing it from your hands. While they are focused on fighting a belt, you are focused on winning a fight! The last word of caution: If you are wearing a belt to hold up ridiculously loose pants that may fall when you remove it, well, don’t become a source for a funny youtube video would be my advice. One of the things about living in Maine is the fact that we are stuck in jackets and sweaters for about 8 months a year. The other 4 months involve a lot of beach towels. You can see one of our black belt students, Dan DeRoche, use a towel among other interesting objects in his blac k belt demo. We teach a lot of techniques in our advanced self protection classes involving kusari, which is a short rope that simulates short length, flexible weapons. Everything from shirt sleeves to phone cords (at least if it’s 1992) to sweaters to torn cloth can apply here. In winter, thick jackets can even provide basic protection against slashing attacks from short knives. Basically, the role clothing plays in self defense is important! The trick is finding the opportunity to use it. If you are wearing a button up peacoat, that wont be easily removed and used. However, a zip-up sweater or light jacket that has been partially pulled off during a fight give you some interesting options to tie up the limb of, choke, or blind an attacker. If you need more evidence that clothing can be used as a weapon, watch pretty much any hockey fight ever. I can guarantee that you have at least one of these on you, and you know which one I’m really hoping you have on you right now. There are so many opportunities to be resourceful in self defense situations. Remember, the goal of self defense fighting is to make sure you get home as safely as possible. Tools are so effective, and there are many more available in common environments; mops, rocks, silverware, pens/pencils… see our post next week about cell phones! the list goes on. We specialize in teaching people a system of movement and fighting concepts that allows people to use resources around them in an effective way, because we want you to win! It’s a Fresh New Week!